Some Emiratis are apprehensive about it, and some residents aspire for it. The possibility of naturalising certain long-term UAE residents is not without its sceptics and advocates. Part of the fear of naturalisation is that Emiratis would lose their national identity; we are after all a shrinking minority in our own country. However, UAE national identity has proven to be more resilient and adaptive to the changing environment and times than some may believe. According to the World Bank, the population of the UAE is today around 9.2 million. 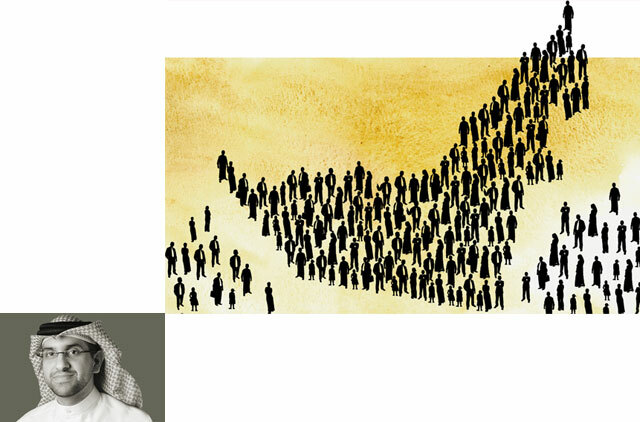 Another study by a Kuwaiti think-tank puts the UAE’s population at 8.5 million with expatriates making up 84 per cent of the population. Should the UAE decide to naturalise say 1,000 people a year, on average it would take around 900 years for the naturalised population to outstrip UAE citizens (at zero growth rate for each side). In fact, the UAE has taken serious steps to tackle what is both a human rights and a demographic matter. In 2011, President His Highness Shaikh Khalifa Bin Zayed Al Nahyan issued a decree allowing children born to expatriate fathers and Emirati mothers to seek UAE citizenship, opening the door to “several thousand” young men and women. Within weeks, almost a thousand children of such mixed marriages were naturalised, joining their fellow mixed marriage offspring compatriots, who have contributed to the development of the country. Almost a century ago, a wave of immigrants arrived at the land that today forms the UAE from the opposite side of the Arabian Gulf and within a generation had almost fully assimilated. Today, the UAE is wealthier with its citizens whose ancestors hailed from across the region. The UAE’s neighbouring kingdom of Saudi Arabia offers what is on paper at least a systematic and practical path to citizenship. In order to become a citizen of Saudi Arabia, a resident must aggregate at least 23 qualifying points in addition to a number of factors such as Arabic language fluency. For instance, living in Saudi Arabia for a decade gives the applicant 10 points, a Bachelors degree equates to five points while a Masters degree counts for eight points. Thereafter an application for citizenship can be filed. Saudi Arabia, in addition to granting children of Saudi mothers citizenship, is now considering offering top foreign academics and scholars the option of naturalisation. A large part of America’s success is based on the continuous stream of immigrants, who were subsequently naturalised. A study by The Partnership for a New American Economy found that “in total, more than 40 per cent of the Fortune 500 firms were started by immigrants or children of immigrants, including seven of the 10 most valuable brands in the world”. These companies include Google, Yahoo, eBay, Goldman Sachs, Proctor and Gamble, Kraft and Colgate Palmolive amongst many others. The list of prominent UAE citizens who were foreign-born is a testament to the role that such individuals played in the formation of the country’s success side by side with their Emirati born compatriots. This list includes diplomats, doctors, advisers to the rulers, businessmen and academics. However, there still isn’t a systematic manner in which an individual can apply for UAE citizenship. It is not uncommon for Arabs who spent extensive periods in the UAE to immigrate to Europe or North America (Canada is a popular destination) for a few years, obtain citizenship and return to the UAE. Having spoken to dozens of such individuals I have found that almost without exception their only preference would have been to obtain a UAE citizenship through a clear process no matter how demanding. In more than one similar case, Arab businessmen, unwilling to immigrate, who have founded firms now listed on the Dubai and Abu Dhabi stock markets, and created thousands of job opportunities for citizens and foreigners, have resorted to attempting to gain fast-track citizenships of countries such as Turks and Caicos in the Caribbean, which allows them to enter the European Union without the tedious visa restrictions that they would face using their home countries’ passports. That is not to say that the UAE Government has not been contemplating an overhaul of the naturalisation process. In 2010, a UAE source told the London-based daily Asharq Al Awsat that the country was heading towards adopting a strategy of offering citizenship to individuals based on categories that include their knowledge and skills as well as Arabic proficiency. However no announcement was made. The UAE is a successful country thanks to a number of factors that have converged including the government, natural resources and certainly the people, both foreign and native. Many in the former category have spent several decades in the country and know no other home. Perhaps it is time to consider a path to citizenship for them that will open the door to entrepreneurs, scientists, academics and other hardworking individuals who have come to support and care for the country as though it was their own. Sultan Sooud Al Qassemi is a UAE based writer. You can follow him at www.twitter.com/SultanAlQassemi. Should celebrities keep quiet about illnesses?